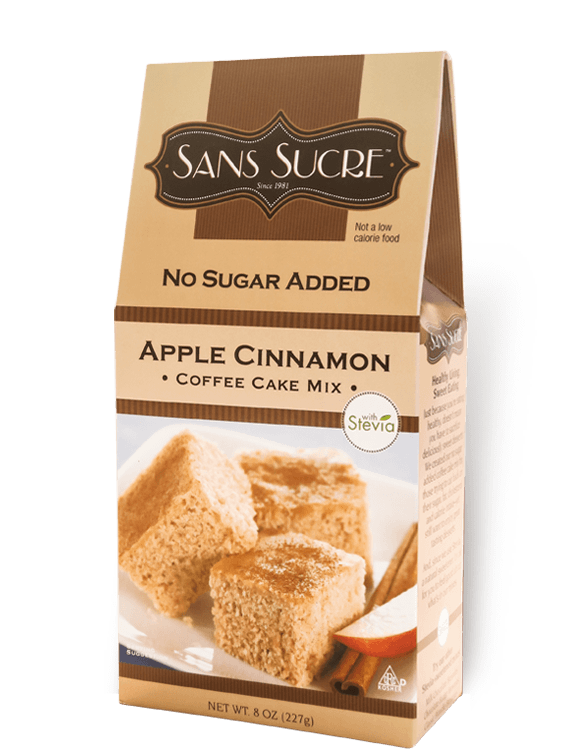 Sweeten up your day with this no-sugar-added coffee cake with apples picked from a small orchard in Wisconsin and cinnamon harvested from Sri Lanka. Note: We work closely with our cinnamon suppliers to make sure that workers are producing the spice in safe environments. Preheat oven to 375°F for metal or glass pan or 350°F for dark or non-stick pan. Prepare 8″x8″ pan by lightly greasing or spraying with non-stick cooking spray. Blend water, oil and coffee cake mix in the bowl of an electric mixer (30 seconds on low speed then 2 minutes on medium speed). Spread evenly in greased pan. Bake 25 to 30 minutes or until inserted toothpick comes out clean. Cool before cutting. Store covered. to 375°F or 350°F for dark or non-stick pan. Ingredients: Enriched Flour (Wheat Flour, Niacin, Iron, Thiamin Mononitrate, Riboflavin, Folic Acid), Sorbitol, Maltodextrin, Low Moisture Apple, Egg White Solids, Mono And Diglycerides, Cellulose Fiber, Calcium Phosphate, Sodium Bicarbonate, Non-Fat Dry Milk, Soy Lecithin, Cinnamon, Natural Flavors, Xanthan Gum, And Stevia Extract (Rebiana). Note: Milk chocolate contains naturally occurring fructose due to the use of applies in the ingredients.